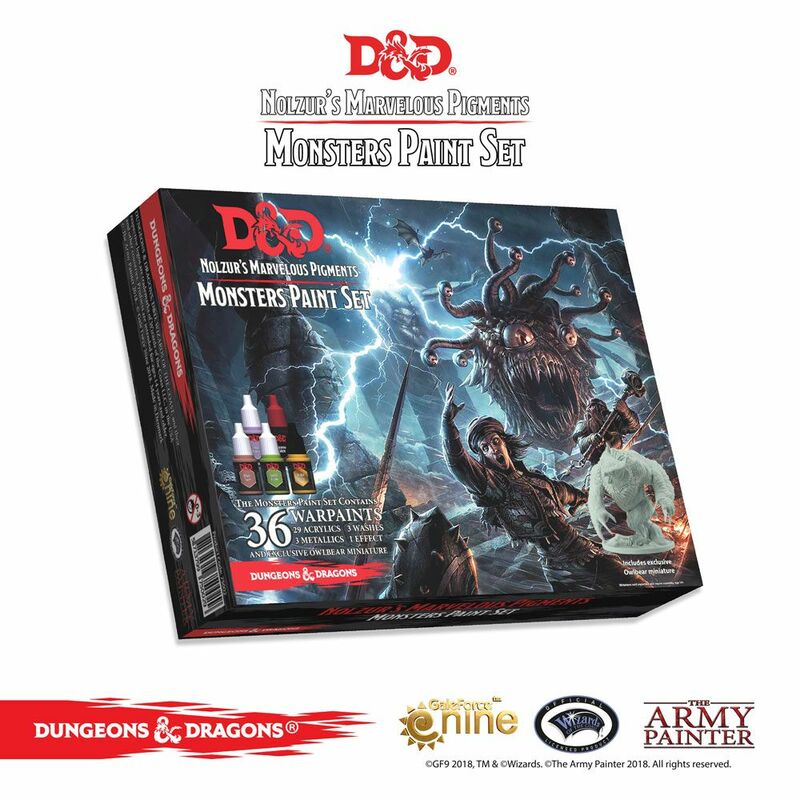 Nothing brings the Dungeons & Dragons™ world to life more than the creatures that inhabit it - and playing with painted miniatures, representing your mighty heroes or foul monster encounters, makes the adventure coming to life in front of you. many and varied monsters from the Monster Manual™ and it comes with an exclusive Owlbear miniature to get you started. The Army Painter Warpaints are a high quality acrylic paint range specifically designed for painting highly detailed miniatures. The paint has a creamy consistency and is extremely rich in pigment. It's 100% non-toxic and always delivers a perfect matte finish. The colour palette in this set has been carefully selected to represent the many creatures and monsters in the Dungeon & Dragons™ universe. The paint comes in 12ml dropper bottles, which enables you to administer the exact amounts of paint you need - and afterwards store them easily, so they do not dry out.